Elonis v. United States: Supreme Court will hear the Facebook speech case. The Supreme Court will soon decide. Should threats made over Facebook be judged by whether the threatening speaker intended to harm anyone or whether the listener was genuinely afraid of being harmed? Monday morning the Supreme Court agreed to hear an important First Amendment challenge that will attempt to sort out—after years of ambiguity and confusion in the lower courts—when threats, specifically Internet threats, should be taken seriously by the law. The case will be heard in the term that begins next October and will hopefully clarify whether threats of violence made over Facebook and other social media should be judged by whether the threatening speaker intended to harm anyone or whether the listener was genuinely afraid of being harmed. In light of the recent Isla Vista, California, shooting and other acts of violence that were telegraphed in social media, the answer to that question could not be more urgent. The only question is … which one? Is that a threat to shoot up a school? Or just some guy writing terrible rap lyrics? 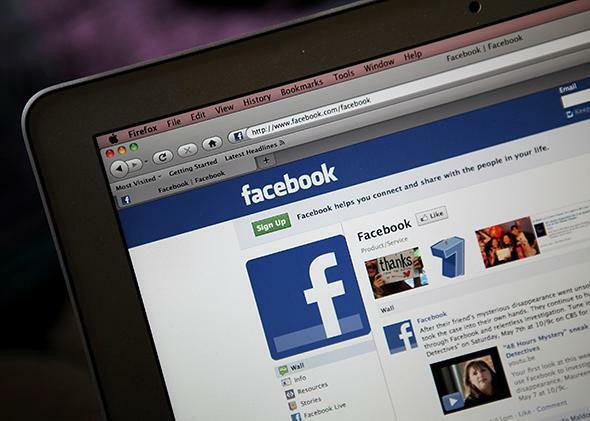 Anthony Elonis, an eastern Pennsylvania man, has served more than three years in prison for posting threats on Facebook. After his wife took their two kids and left him in 2010, he got fired from his job. He then began a series of dark and vengeful rants, sometimes in the form of rap lyrics like the above, about threats to kill his wife, a female FBI agent, and a class of kindergartners. Elonis contends that these weren’t ever real threats—that they were “therapeutic” and that these words are protected First Amendment speech. He claims that the lyrics were not intended as warnings of real violence and that they were a harmless way to express his severe depression and frustration after his wife left. After an FBI agent visited him to follow up on the earlier threats, Elonis posted a rap about slitting her throat and claimed he’d had a bomb strapped to him throughout the interview. He was arrested in December 2010 and tried before a jury under a federal law that prohibits the use of interstate communications of threats to harm individuals. His wife testified that she was objectively terrified by the posts, especially since they increased after she filed a “protection from abuse” order against him. “I felt like I was being stalked. I felt extremely afraid for mine and my children’s and my families’ lives,” she said at the trial. She also testified that Elonis rarely listened to rap music and that she had never seen him write rap lyrics over the course of their seven-year marriage. Elonis was convicted on four of the five federal charges and sentenced to 44 months in jail. The last time the high court scrutinized the “true threat” doctrine was in 2003, when it found that a Virginia law banning cross burning was unconstitutional because a “true threat” requires the speaker to communicate an intent to commit violence. (Justice Clarence Thomas was the lone dissenter.) In that case, the court defined true threats as “statements where the speaker means to communicate a serious expression of an intent to commit an act of unlawful violence to a particular individual or group of individuals.” Elonis read the Virginia case to say that the definition of true threats means that the speaker must truly intend to threaten the victim. Courts across the country have been split on whether the subjective intent of the speaker or the objective assessment of the listener is what matters when it comes to discerning a true threat. The 3rd Circuit Court of Appeals, looking at the facts in Elonis’ case, held that if a statement causes a reasonable person to fear for her safety, that’s a true threat. Most other courts agree on that standard: a reasonable person’s objective interpretation controls the outcome. The 9th Circuit on the other hand has taken the position that the speaker must have intended to communicate threat and “intend for his language to threaten the victim.” The Justice Department supports the 3rd Circuit’s test, arguing that the law must not only prevent real violence but also deter real fear. This case is not only crucially important in that it will force the court to clarify its own “true threats” doctrine and finally apply it to social media to determine whether—as Justice Stephen Breyer has suggested—the whole world is a crowded theater. But perhaps it’s even more important in pushing the conversation about law enforcement, prosecution, and threats to include a much more sophisticated understanding of the ways in which the Internet is not just a rally or a letter. As Amanda Hess has explained so powerfully, women experience threats on social media in ways that can have crippling economic and psychological effects. At the margins, this is a case about the line between first amendment performance art, fantasy violence, real threats—and real fear. In a world in which men and women find it nearly impossible to agree on what’s an idle threat and what’s a legitimate one, it’s also a case about where that line lies, or whether there can be one. Disclosure: I serve on the board of the Thomas Jefferson Center for the Protection of Free Expression, which is among Elonis’ lawyers.